Freesurf Magazine, the only surf publication in the world produced on the North Shore. Freesurf delivers authentic surf coverage from the front lines and throughout. 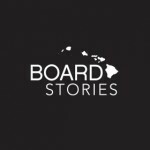 Manulele Incorporated produces Board Stories TV. Airing in Hawaii on OC 16 and on Cox Cable in Southern California. Manulele Incorporated’s Media Mill offers added value by outputting the client’s promotional news, events and industry happenings through Freesurf’s various media platforms. Manulele Incorporated is Hawai`i’s premier surf and beach multi-media production company, poised to promote your business to our large and loyal audience. Manulele is headquartered at the heart of the action on Oahu’s North Shore, where industry players and athletes come together, setting buying trends for the surf and beachgoing public. And with the sport of Surfing making its Olympic debut in 2020, we at Manulele are excited to lead the charge in leveraging this opportune time in our niche industry. Freesurf Magazine, Board Stories TV and Manulele’s social media platforms provide prime promotional opportunities for businesses targeting male and female consumers aged 12 to 54 who participate or are interested in a healthy, active lifestyle, as popularized by the booming extreme sports industry. The explosion in global media access has made authentic branding a vital factor for advertisers in optimizing their marketing strategy for the best possible Return On Investment. Manulele Inc. is the locally and internationally recognized resource for promoting Hawai`i’s surf and beach lifestyle to the rest of the world, with our stellar print, TV and digital media offerings. Freesurf Magazine represents your products and services with pride in North America’s only glossy, monthly surf mag, creating a cohesive tapestry woven from the varied threads of the many retailers, product manufacturers, athletes, world class events, community investors, and the precious vibe of our beautiful surfing community. Manulele’s in-house video, photo, and content production team has been creating and distributing print, television, and digital media since 1997. In addition to our regularly scheduled daily, weekly and monthly output, we also provide a la carte production services and raw content for clients. Let us take your company forward into a bright future with our cutting edge media services. Rebecca VillegasKona Marketing Manager, Kona Brewing Co.